It's all happening on South Beach. 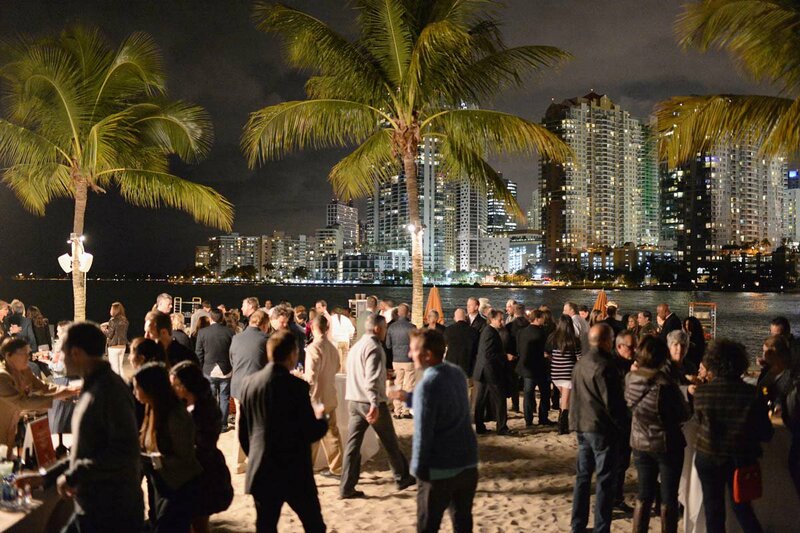 Photo courtesy of South Beach Wine & Food Festival. MIAMI – Every February, when it's snowy and slushy in the rest of the United States, it's hot, sunny, and fun in Miami — but that's only one reason why the food world descends upon South Beach for the last weekend of the month. The main event happens February 24-28 at South Beach Wine and Food Festival, a five-day extravaganza of tastings, demos, dinners, and parties, parties, parties. (And more parties.) The turnout invariably include celebrity chefs, rising stars, wine makers, food artisans, ingredient wizards — and the eaters and drinkers who are hungry and curious about everything they're doing. This year marks the 15th anniversary of the event, which means the festivities will be cranked even higher than usual. (Festival impresario and Fathom contributor Lee Schrager is a man who knows how to make a statement.) The big events, many of which happen right on the beach, include Italian Bites on the Beach (Thursday), Burger Bash (Friday), and Meatopia (Saturday). Chefs hosting dinners include such global luminaries as Dario Cecchini, Francis Mallman, Joël Robuchon, Nigella Lawson, Daniel Boulud, and Enrique Olvera. Also in the house: George Mendes, Andrew Carmellini, Michelle Bernstein, Anthony Giglio, Scott Conant, Marcus Samuelsson, Tom Colicchio, Marc Vetri, Stephanie Izard, Michael Symon, and José Andrés. You get the point, right? Everyone is here. Of course, it's not all eating and carousing (although there's plenty of that). There are seminars and demos. On Friday, February 26, at 1 p.m., I will moderate the panel The New Restaurant Experience: Social Media, iPhones/Cameras/Technology, Online Reviewers and Experience — when we'll settle the score on Yelp haters and Instagram at the table. Come say hi! Or come find me by the pool at The Raleigh. Online, the Food Network & Cooking Channel South Beach Wine & Food Festival Auctions includes such prizes as resorts in St. Lucia and double magnums of Cristal Champagne and benefits Florida International University's Chaplin School of Hospitality & Tourism Management Teaching Restaurant and its Southern Wine and Spirits Beverage Management Center. Tickets are available online. The event runs February 24-28.